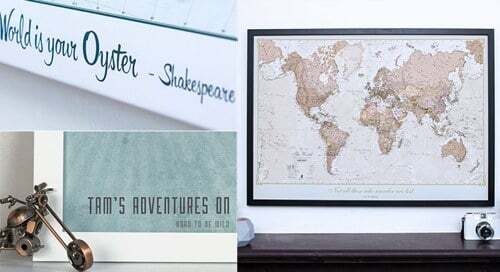 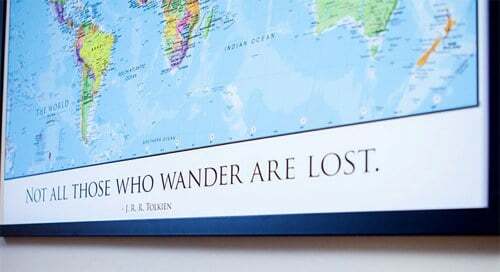 The World is Art is a unique range of World Maps created to look fantastic on your wall. 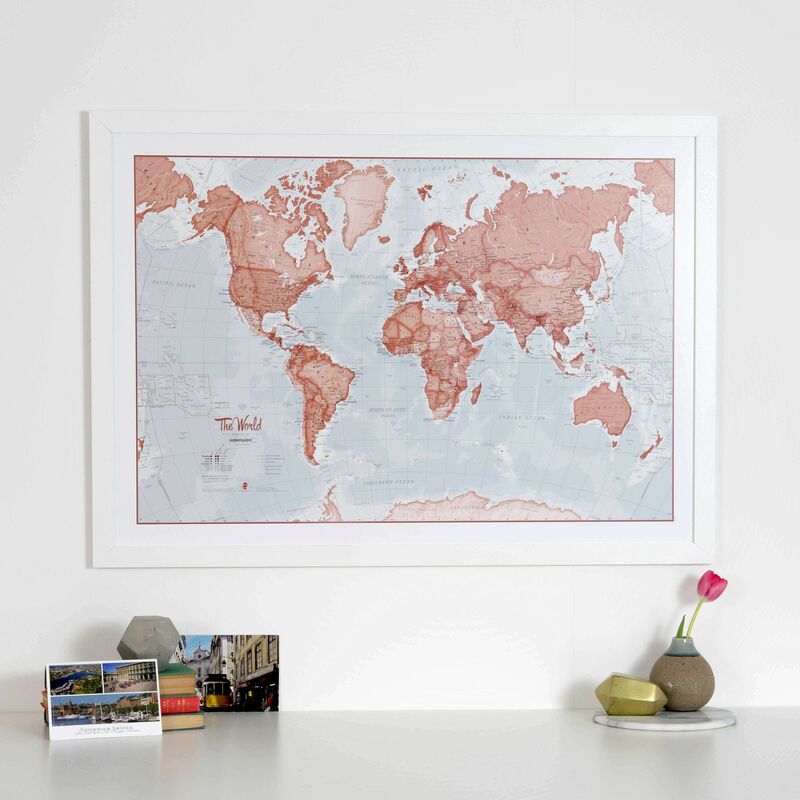 Beautifully designed with red color tones for the stylish wall space in your home, these maps are sure to impress. 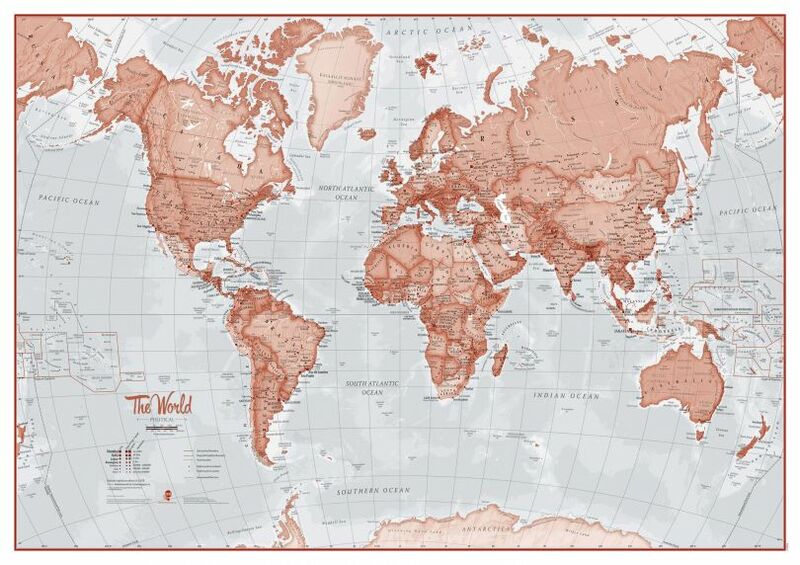 The World Map features major towns and cities and also contains hill and sea shading. 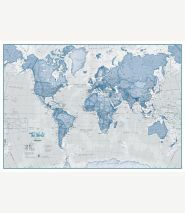 Completely up to date: The map is totally accurate and includes all recent developments in the World, in particular the new country of South Sudan and the new international dateline.